Life as a mid-sized independent games development studio must be terrifying at times. Companies like Remedy or Ninja Theory, which make these wonderful, high quality games that are sort-of-but-not-quite AAA projects. Games that are single-player, mostly, with a dedicated audience that isn't quite big enough to justify the big budgets. We speak to these companies all the time about survival. And it's often about trying new things, being careful with budgets, and always, always, always raising money -- hoping to find that magic hit to take them to the next level. 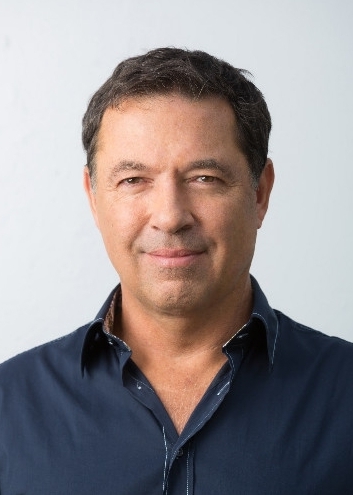 "It's always been difficult for development companies to become self-sustaining no matter which business model you are using," says Brian Fargo, CEO of InXile. "At least 50% of my time is in fundraising and we have so little room for error. It generally takes a mega hit to break you out of the cycle and that is always hard to come by. A mid-size hit is nice, but the after-tax monies from that generally support another five to six months of payroll and leave you back on the hamster wheel. It turns out that talented game developers are expensive. My friends always like to comment that I should 'just make a Fortnite or Minecraft'." So it must be exciting to those stuck on the funding treadmill to hear that Microsoft, which has historically been only interested in high-end AAA studios, is openly acquiring mid-size game developers such as Ninja Theory, InXile, Obsidian and Undead Labs. "A mid-size hit is nice, but the after-tax monies from that generally support another five to six months of payroll and leave you back on the hamster wheel." Or at least it would be exciting if it were not for Microsoft's inconsistent track record with development studios. Although the likes of Rare, Turn 10, and Mojang might speak warmly of their parent company, the former employees of Ensemble, BigPark and Lionhead might feel differently. "It's a natural thing for gamers to worry about, but Microsoft was very clear in their desire to give us resources to improve our quality while we continue to bring our unique style of games to our fans," Fargo reassures. "We also spent quite a bit of time with the development groups they purchased and their teams could not have been more enthusiastic about how fortunate they felt to finally be given the time and money to create. I only know the Microsoft under Phil Spencer and Matt Booty and they are passionate gamers who care deeply about supporting talent. More important than words and promises will be the games that come from us in the future, that will be the proof." Microsoft's decision to acquire these businesses comes from a different place, too. InXile's titles are not exactly expected to drive hardware adoption of Xbox consoles. The studio has been picked up to deliver games into the Game Pass subscription platform. Halo, Gears of War, Forza, Sea of Thieves... these titles are expected to drive adoption of the subscription service. Yet these games take years and years to craft. Xbox is looking for content to fill the months in-between the big launches. They're looking for titles to keep people engaged in Game Pass as they await the next major game in the Crackdown universe. Some of those games will be legacy titles from third-party publishers, some will be from indie creators, and some will come from the likes of InXile, Obsidian, Compulsion Games and Undead Labs. On paper, you can see how this appeals to mid-sized development teams. They can create the games they want without the pressure to deliver big numbers. They can also reach an audience of people who perhaps would not have played their games previously. Similar to how Netflix encourages people to try different shows as they await the next series of Stranger Things. "Game Pass immediately provides us that audience and gives us more energy to focus on creativity rather than worrying about things like monetisation." "As a creator, all I care about is getting our games in front of millions of people so we can watch them play and hear about their experience," Fargo enthuses. "Game Pass immediately provides us that audience and gives us more energy to focus on creativity rather than worrying about things like monetisation. I also see it as a vehicle to allow developers to take more creative risk with their games. I think Netflix is a good example of a subscription service that allows an offering of artistic content that was unlikely to be financed otherwise. Buster Scruggs seems like a fine example of that." He continues: "It is an absolute benefit to have a business model that allows Microsoft to support our dreams. The stable of development support we'll have access to is unlike anything that we've used before. We were blown away by the tools we'll be able to use that will allow us to hone our craft." 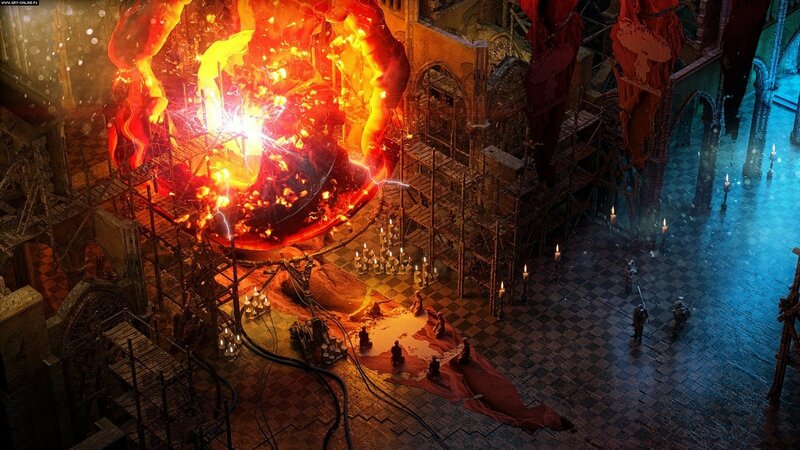 InXile says Microsoft offers more than just the freedom from worrying about money. There's the resources of all those development teams (Microsoft's development family now features 13 studios), and the possibility to work on some of Xbox's existing brands (although Fargo says the team is currently focused on their own IP). There's also the financial backing that will enable the team to add experts in cinematics, audio and animation to the team. "Our money raised through crowdfunding was a wonderful catalyst to get us back in the saddle making the kind of games that speak directly to our fans. That said, we were always well aware of the in-house disciplines we were missing. The benefit to having talent focused on specific areas of game creation can have a profound effect on the overall experience. A few key positions we're looking to hire will allow our games to shine like never before. Gamers are very discerning, and they notice when a team adds that extra little touch or when things are tightly integrated." Fargo concludes: "Spending 100 per cent of our energy making games with the resources we only dreamed of in the past. It's the holy grail for an ambitious developer." This is great news. We spent a little while working with Brian when we cut some promo videos for Wasteland 2. He was always a decent guy and very helpful.